From December 10 to 14, between 11:00 and 15:00. 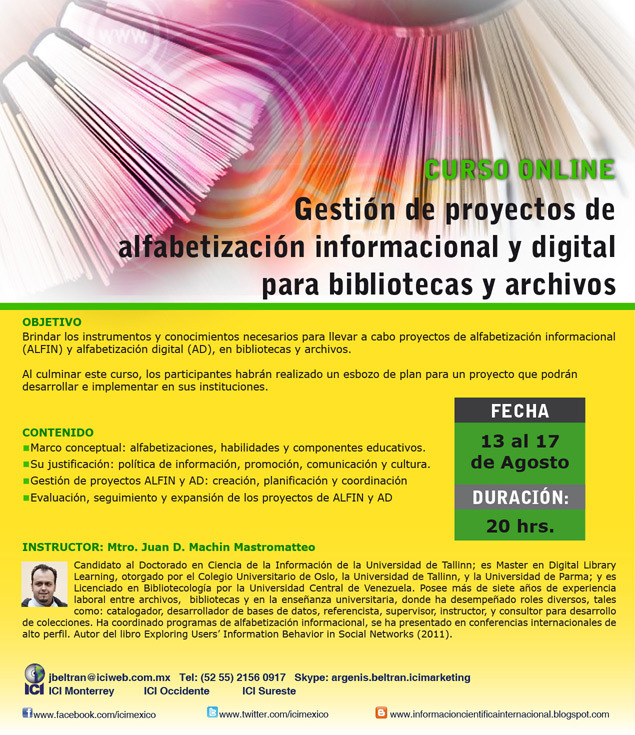 (Mexico time) I will be delivering the second edition of the online course ‘Managing and running information and digital literacy projects for libraries and archives’ (in Spanish, sorry, but you may hire me for an English version! ), through the online training system of Información Científica Internacional (ICI). 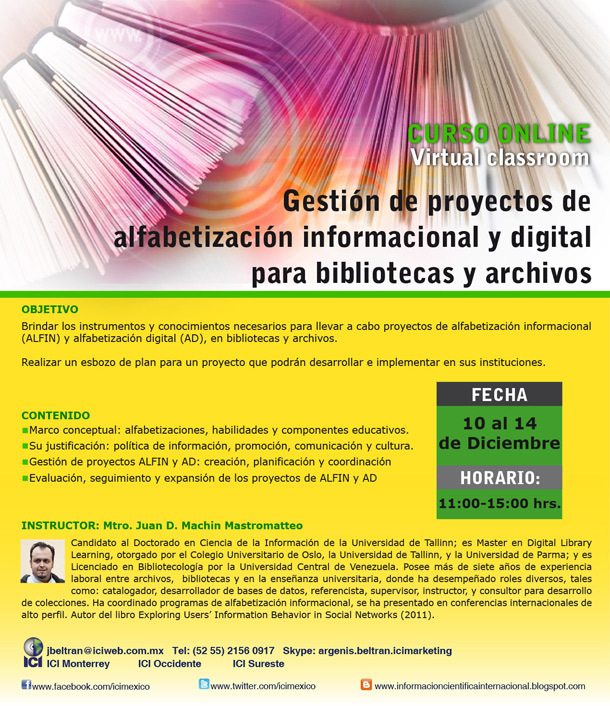 This course is excellent for library and archives professionals whom wish to know more about the topic or whoever wants to develop a literacy initiative but doesn’t know where to start. It is also good for those who have worked with literacy and wish to revise and improve their projects. During the course we will be following a methodology which will take us step-by-step throughout the design of a literacy project, considering the structure, pedagogies, resources, among many others. By judamasmas in Courses on 2012/11/13 .